Perhaps the most of important part of starting an Amazon FBA business is your Amazon product research. We'll start off by talking about barriers to entry. This is one of the most important concepts when you're choosing effective market that you can go into and compete. If you are a beginner, basically a barrier to entry just means ‘how hard is it to get in to a market’. There are all sorts of barriers to entry and each one of them is a different type. Is barrier to entry a good or a bad thing? What are the types? This is a big barrier entry because it's probably why a lot of you are pursuing markets. Some of my higher level friends, they like barriers to entry. This is a case where barriers to entry are good because, like the new people, they can't go and compete on something. So, as part of his Amazon product research he only sources products that are over $50 each because he knows there's only a couple of people that have the money to do that. With my products, I'm going for 2,000,000 to 3,000,000 products a year. I know that to get that type of revenue and everything and what I'm focused on, there's only a couple of people that can really compete with it. So, I'm completely happy with doing that. I'm even okay taking a lower margin on it because I know that barely anybody has the capital to do that and is willing to take as low of a margin because I'm building out my brand. Now here's another barrier to entry. If I have my brand, of my personal development brand or whatever and I am able to sell my products at break-even or a loss because I know that I can get people onto my application, my software application or to come check out my YouTube channel or to do something else. I now have all of these different pyramids or these pillars up here that the lifetime value of my customer is higher when spread across everywhere. So, I can lose money on a loss leader like that. So, that is one barrier to entry. You'll see a lot of businesses actually will lose money, like grocery stores lose money to get you in the door because they know they're going to make money on the backend. That could be another barrier to entry. It's just somebody selling that break even because they just want to build that relationship with people. Some products are so large that you can't ship them affordably through Amazon. This is a huge factor to consider during your Amazon product research. We're going to import massage chairs because they're huge, they're giant and they're heavy. We can’t ship them through Amazon. We literally had to ship them through 3PL, that is a third-party logistics company. Then, we would sell them on LTL which is less than truckload. That means a specific truck would have to go out and deliver this. Can you imagine the returns or a broken massage chair? Who would literally had to get a whole warehouse, get a whole support team and everything to deal with these chairs and whatnot. Those are very profitable. But here's the flip side of that. We decided not to because it was a headache. We said, "Let's just make money some other way." And I was like, "Yeah, I don't even want to just be sourcing stuff just for money." So, that's what happened. But here's the thing. There was no innovation. There is no innovation in the massage chair industry because there's a lot of capital required and that's huge. These things are really difficult to ship. So, when there are a lot of barriers to entry, there's no innovation. That's cool, though. Just like in my market. With my solar eclipse goggles, there was no innovation in the glasses because it happens once. That's another one down there so that's seasonality. When it's something that's not happening very often, there's not a constant force of change in a market to make the next big thing. It comes and it goes. So, I was able to innovate with the goggles and that killed. Those are awesome. If there is a certification that's necessary, some people look at me like, "I don't want to do that. Let me get something that I could just source in an hour." If you get sued, this is me, specifically. I wanted to import LED lights more than you can imagine. Literally, my passion is lights. I built some really cool light inventions but I just couldn't find a supplier that I trusted. It only takes one burned down apartment to completely take away everything that you made. So, I wasn't able to do that. Liability will be something that will deter you and certifications. Specifically, with tech-products, also food and health products, you'll get a lot of customer support. The more support and hassle there is with something, people are going to be less likely to go into it. As part of your Amazon product research and product selection, if you are putting together a bundle you find multiple manufacturers and get them to ship it. So you ship it, although your main manufacturer, who assembles, packages it and ships it to Amazon for you. Now, other people can't just go on Alibaba and buy the bundle. It doesn't work like that. They have to go out and do that extra work themselves. Because that takes extra work and time, they get probably be lazy and not do it. So, that's another way to create a barrier to entry. So, if barriers entry good or bad, it depends. You want barriers to entry when you're in a market and to get into a market. You don't want them but you will when you get into it. My solar eclipse glasses, I had the best design for specific subsets, specifically women and children. It didn't matter that the other ones were looked kind of like mine but mine just had the best design. Sometimes, we look at art or whatnot. It's different for each person and the values in the design. It's not in the products. The product could be the same but not the design. Why do people buy certain brands t-shirts or other ones? It's brand affiliation. But certain times, it's just, "It's a good design that I want it." Art is the best description there. There are products that have aesthetic feelings. The main point of that is aesthetics. There is a big difference of aesthetics and utility. Are people purchasing for utility or are they purchasing for aesthetics? That’s something to take into account. A lot of people won't do it because it's hard to find. A barrier to entry is ‘How do you know what seasonal products are going to sell the best?’ How do you know exactly how much to buy and sell? You don't want to be stuck with it for a year. That is where I suggest a lot of people but not to beginner because you don't want to mess up your first product and then be stuck with it for a year. But then on the flip side, that's why people don't do it. So, I don't know. I did it. It worked for me. Consumer behavior should be at the forefront of your Amazon product research. I'm actually going to consider this a competitive advantage and not a barrier entry. We could call it a barrier to entry from somebody else. It's a barrier entry for others because you have the ability to your competitive advantage of catching trends or something whatnot. That would be like that. This is the list of barriers entry. You want them when you're in a market. You want them so it doesn't get over-saturated. Typically, the more barriers of entry that stack on top, the less innovation, the more margin and the more opportunity. But it's also harder. So, take that into account. It’s kind of the risk reward. Everything in life the more work you have to do to put in, typically, the greater the reward. I want everybody to just take into account barriers entry. They're very important in my opinion because they are where most people quit. So, if you can get over these barriers to entry that is where I see the greatest success. If you look at my clip's example, we had seasonality, we had capital, we had a liability, we had certification, we had the logistics and we had creativity or added value through design as well as a change in consumer taste. And I also had the assembly of multiple manufacturers. I had to create certain products. Literally, we invented them. We had to get stuff from Germany. We had to get stuff from China and then pre-assemble them and build the packaging in the United States. I literally had everything against me or everything for me, if you look at it like that. That’s why I killed it. Choose your barriers to entry wisely. But, you don't want to choose something that's too competitive or has too many barriers. You don't want to choose something that has too many barriers because it's going to be really hard. You might not actually do it. So, find somewhere that you think is right. If you choose somewhere with no barriers to entry, you better have really good competitive advantages. There are two sides of the card. There are barriers to entry and competitive advantage. You can compete in the world most competitive markets but you have to have some edge if you're going to compete in the world's most competitive markets. 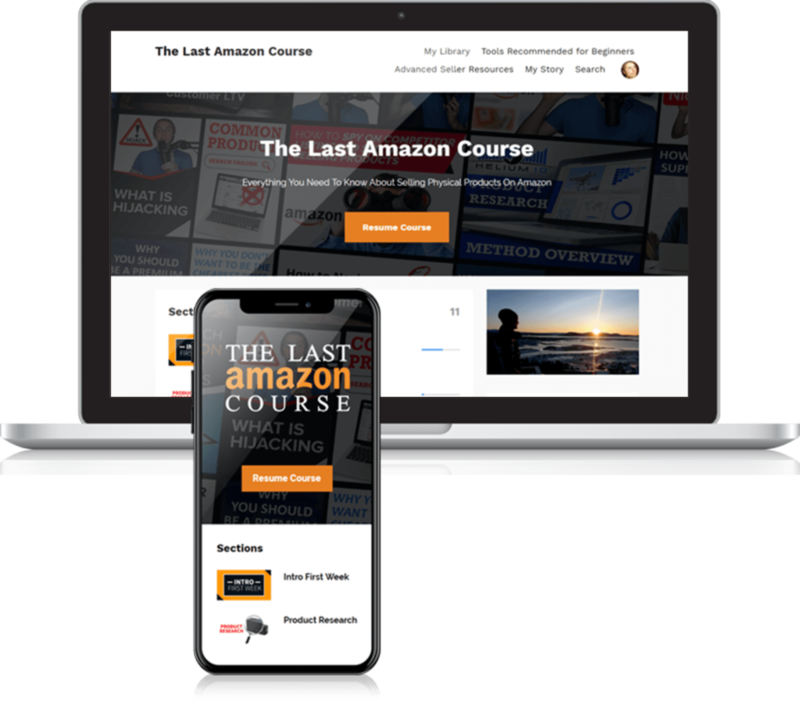 In my Amazon FBA Course I outline in more detail how to conduct your product research as well as how to find a winning product.